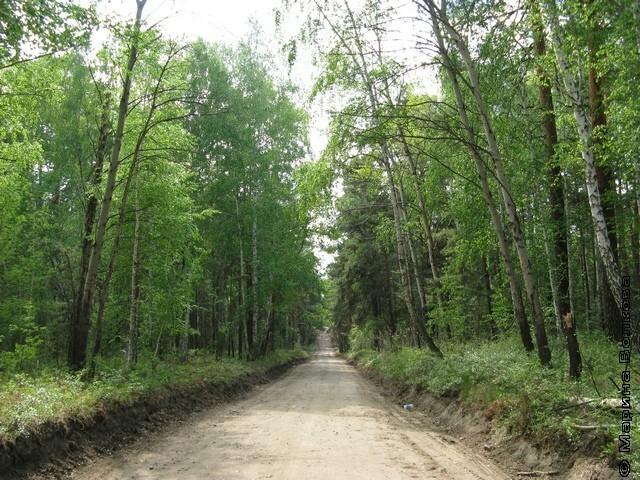 You ride from Chelyabinsk to Yuzhnouralsk approximately 90 km on the Troitskii road in strictly south direction. Plaque with the name of the city stands in the forest. 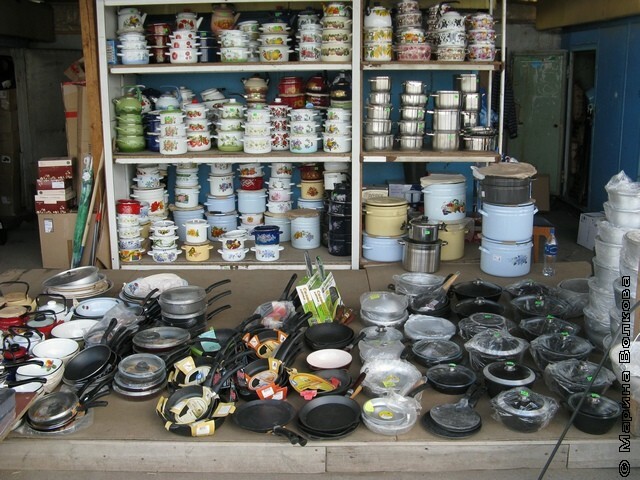 Then you pass the bridge over the railroad and in five hundred metres turn left to the largest market of Chelyabinsk region in the field of tableware. For women it is a real paradise and several kilometres of shopping between rows of dishes. 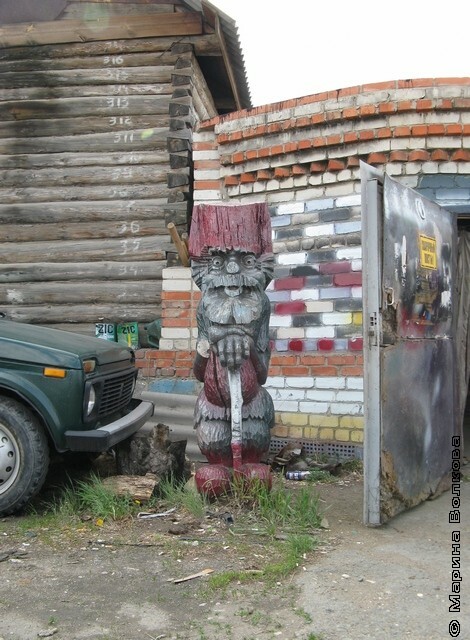 The market exists due to the South Ural porcelain factory. 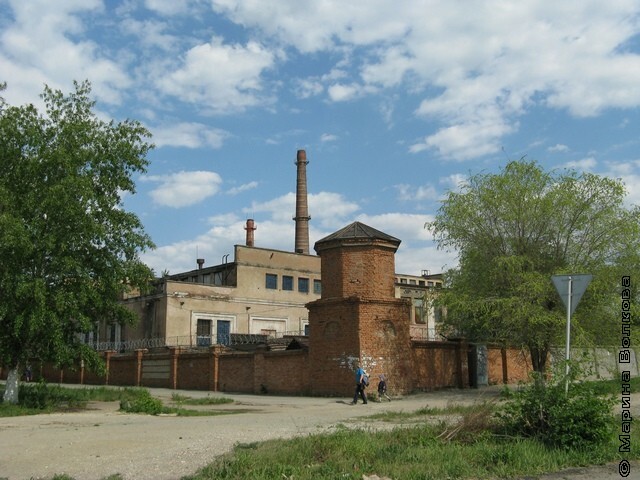 The plant has several times changed owner, flourished and declined ( South Ural porcelain), and the market just unfolded and grew up. Most of tableware on the market is of Turkish or Chinese origin, but is it really important? 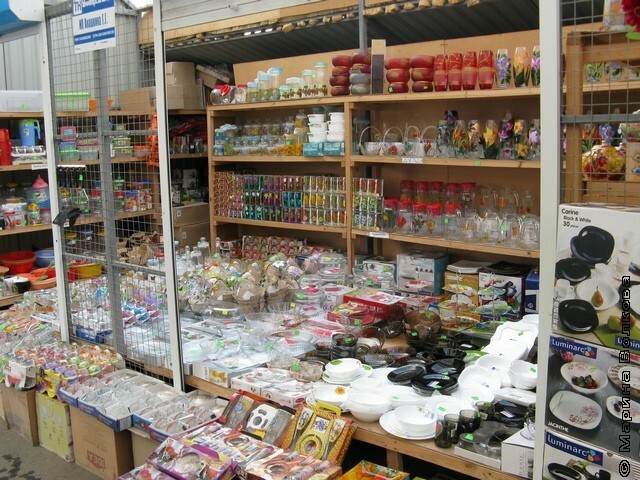 By the way, if you come during working day (and time), you can go to the shop of porcelain factory. On the bridge turn to the right and go up to the factory, shop is located right by the entrance. Once the machine is full with dishes, you can see the city. It is small and quite nice. 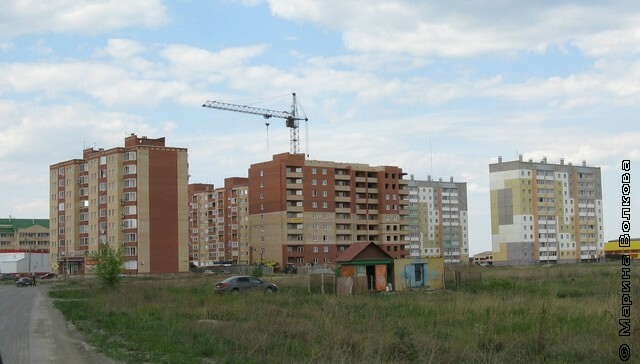 Thanks to the former mayor Vladimir Shavrin Yuzhnouralsk became a leader of Chelyabinsk region by the number of square meters of gardens and garages per capita. 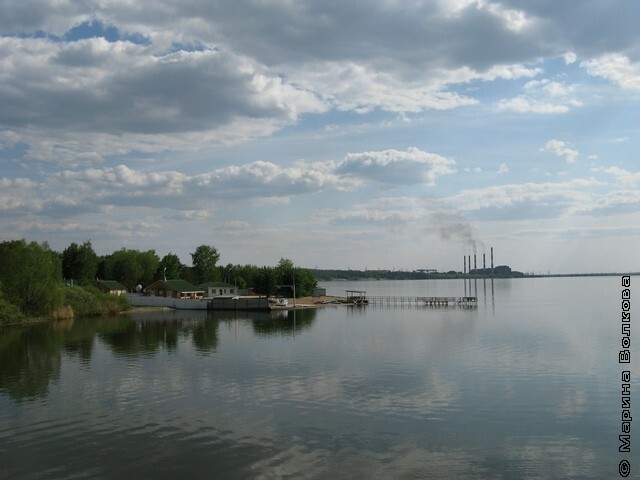 When Shavrin was mayor Yuzhnouralsk could boast the largest incomes per capita , but now there is no statistics about the incomes of people living in Yuzhnouralsk . At the site of Yuzhnouralsk by order of the first Governor of Orenburg province Ivan Neplueva in 1745 Nizhneuvelskaya fortress was founded as an intermediate item between Chelyabinsk and Troitsk fortresses. 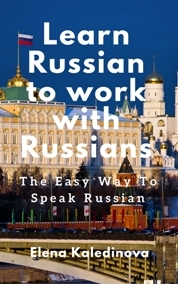 But the fortress during the rebellion of Yemelyan Pugachev went over to his side, on this reason the garrison was disbanded and Nizhneuvelskaya fortress lost her status as a fortress. About the long-standing events almost nothing reminds. 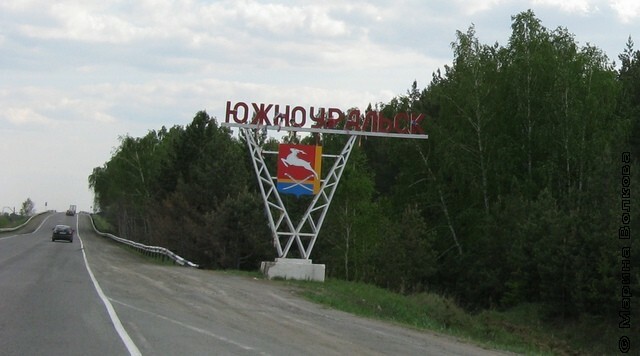 Yuzhnouralsk positions itself as a young city, it received city status in 1963. 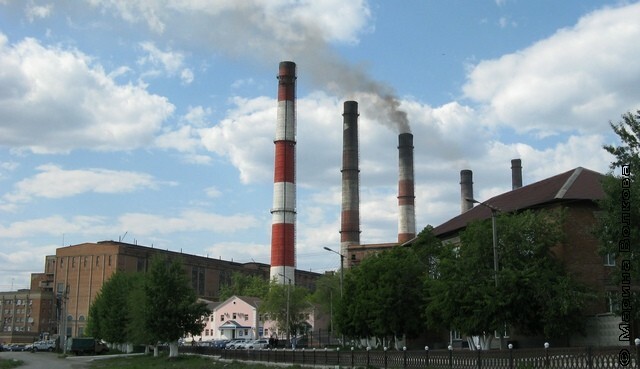 The visiting card of Yuzhnouralsk is South Ural power plant. In the city in addition to the power plant there is a number of unique enterprises: South Ural insulators and fittings plant produces insulators for POWER TRANSMISSION LINES ; the plant “Crystal” produces crystals for electronics (even for the Japanese electronics! ); plant UMEK makes cullet. 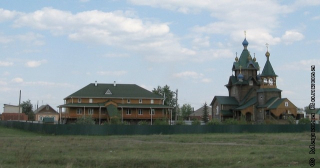 It takes not more than an hour to walk around Yuzhnouralsk, town occupies an area of approximately 5 by 5 km and it is almost nothing interesting to see there. 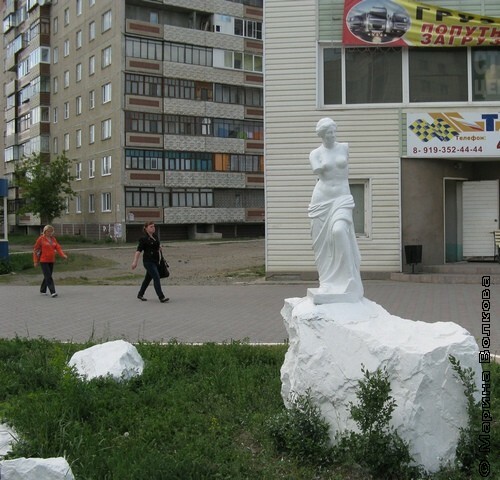 But citizens of Yuzhnouralsk sincerely love their town and consider it the best in Russia.